With just two days until the finale, I still have 23 episodes of Lost left to watch. I really don’t think I'm going to finish. Though, I’ll probably give it a valiant effort. * It seems as though all the castaways are going to end up in the same room, the “concert,” in the alternate universe triggering a collective memory of their Island experience. * Judging by the first shot of this season showing the Island under water, we’re thinking that the man in black, probably with the help of Desmond, is able to destroy it (or more accurately sink it and protect the “light” forever). Do we really want Jack stuck there for eternity? * All of our questions are not going to be answered, but we’re banking on a “happy” ending. Doesn’t it seem like that’s how the cards are stacked in the parallel reality? Everybody seems to be better off, right? * I think Juliet is going to be revealed as the mother of Jack’s son. There’s got to be a reason why they’re keeping “mom’s” identity a secret, right? That’s my one out-of-the-box prediction. So, obviously nothing too ground breaking there… Clearly I'm not ready to be a contributor on Lostpedia or anything. Though, I just discovered that my Juliet theory has been discussed over there!!! Anyway, I'm curious, what do you think is in store for us on Sunday night? Those are great 'possibilities'! I can't wait to see what happens1 Thanks for stopping by my blog and commenting. I really appreciate it and Love making new friends!!! :-) Have a wonderful weekend!! Wish I had gotten into this show! For some reason, our lives just never coincided with it with the showtime, but you're inspiring me to Netflix it! =D Have fun with the finale!!!! i think this sunday, jack will give a rose to his professional ballroom dancing bachelorette before winning the super bowl and exploding the death star to save a galaxy far, far away. 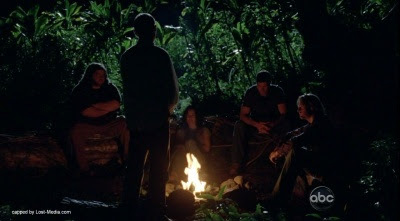 I'm SO excited about the "Lost" finale but dreading it at the same time! What will I do without my "Lost!" One of my predictions from last year already didn't happen. I predicted that Ben would die in the next to last episode of the show. But that was before I knew there was an even Bigger Baddie on the horizon that had to be taken care of.